Alfresco, swimming pool, 3000 litres water tank, solar panels and garden shed. 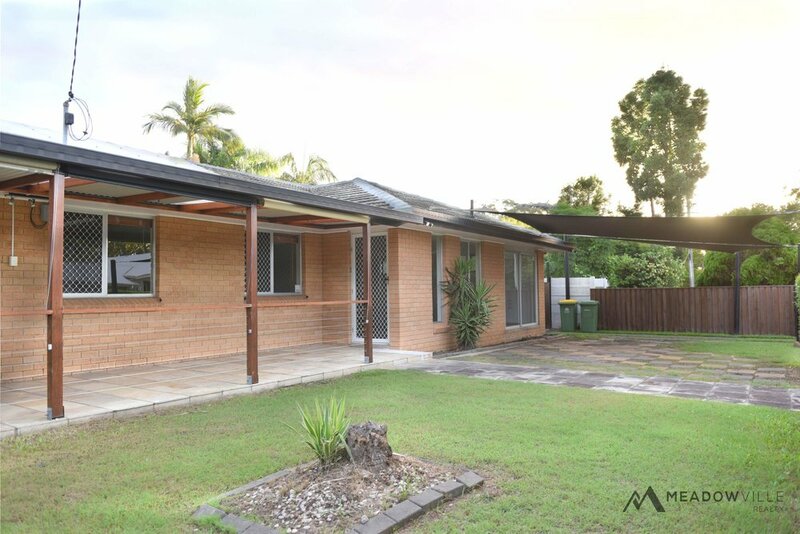 Within a lovely family neighbourhood in Rochedale South, this cosy home is placed in a quiet location ideal for a family or an investment piece. 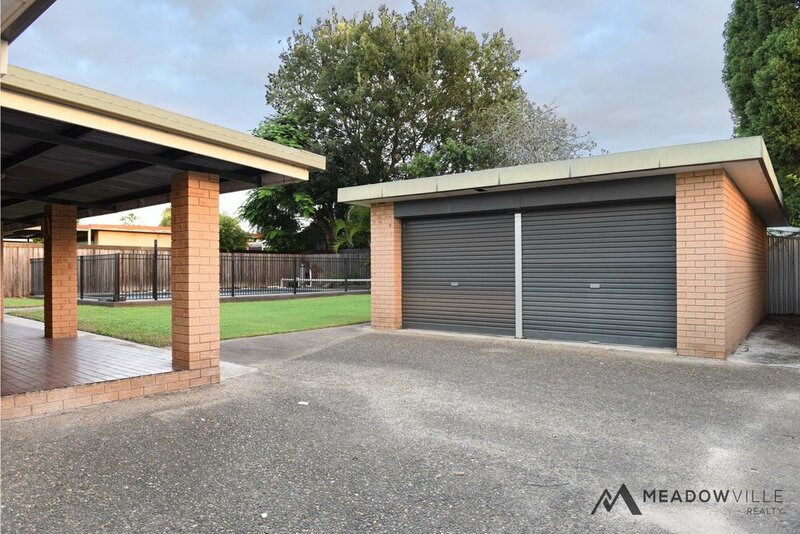 This beautifully well-maintained home is conveniently located near local shops, schools and public transport. 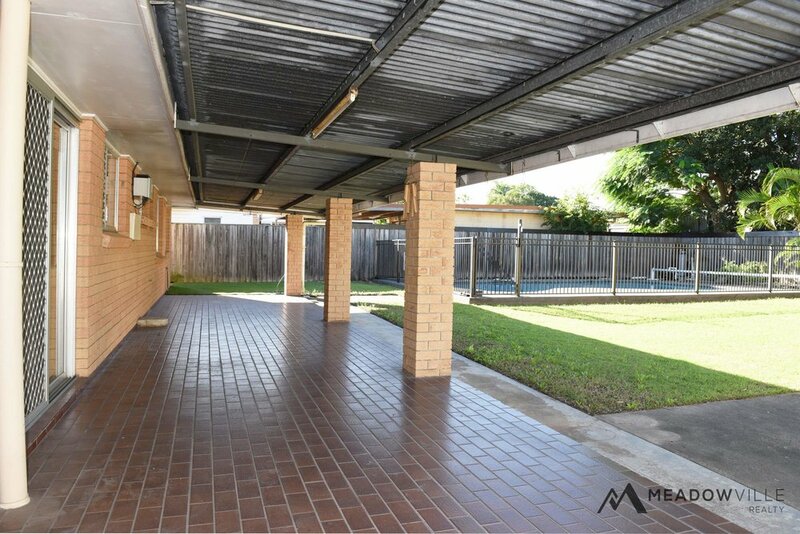 A fenced and shaded patio is situated at the front of the home, an ideal place to relax and start off those sunny mornings. Inside is ample living and family space, connected by a charming french door and lit by radiant windows. Fresh paint and carpet has been renewed throughout the home, ready for new owners. Outdoors is a lovely spacious area perfect for hosting family and friends. The long shaded patio is complemented by a sizeable pool and lawn. The double garage and gated driveway also boasts plenty of parking for gatherings. Full fencing and gating around the home ensures privacy and security.